The Eglin Natural Resources Branch, known as Jackson Guard, won CBA’s first ever reef building competition at Eglin AFB’s Post’l Point by building 175 linear feet of reef in four hours. The reef breakwater stretches 1,400 linear feet in all, made of over 140 tons of limestone rock pieces. Jackson Guard wins the grand prize: a brewery tour at Grayton Beer Company. In all, six teams from across Eglin and Hurlburt competed to see who could build the fastest reef sections, including staff from Corvias, the Rapid Engineer Heavy Operational Repair Squadron Engineers, the Hurlburt Honor Guard, Jackson Guard, the Bioenvironmental Engineering Flight, 73rd Special Operations Squadron, the 11th Special Operations Intelligence Squadron, and the 1st Special Operations Aircraft Maintenance Squadron. 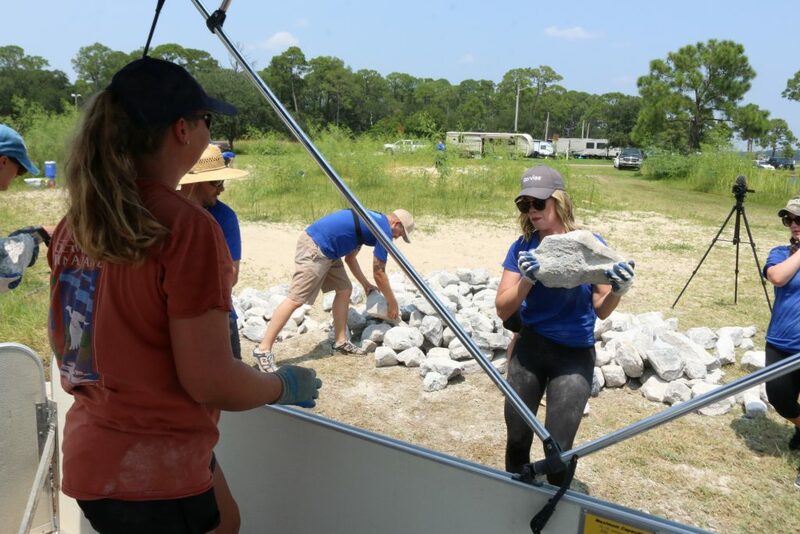 Corvias donated the most volunteer hours to build 18 reef sections (450 linear feet), in addition to an $8,000 grant to fund the reef project as part of their Giving Back program. In addition to the grand prize, individual volunteers won: a growler from Niceville’s 3rd Planet Brewery, a bottle of rosé from 30A Coastal Dunes Wines, a bottle of chardonnay from 30A Coastal Dunes Wines, a gift certificate to Pizza by the Sea, and two CBA prize packs. 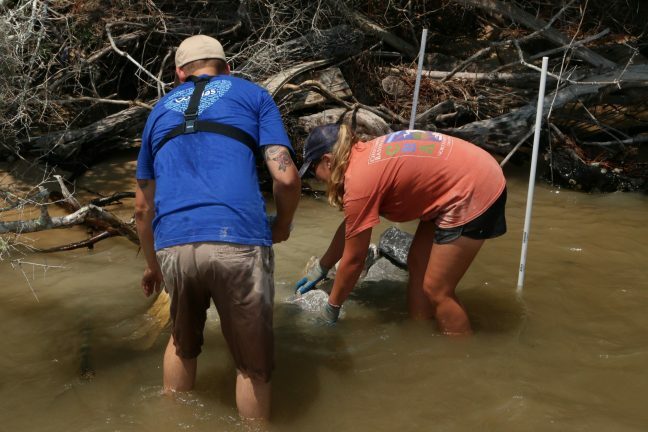 The Choctawhatchee Basin Alliance is a non-profit organization striving to enhance swimmable, fishable waterways through monitoring, education, restoration, and research. For over 20 years, CBA has promoted water stewardship within the Choctawhatchee watershed, growing the network of supporters who join in CBA’s mission to provide a future for these precious, natural resources. For more information, please contact CBA’s Communications and Marketing Coordinator, Erika Zambello, at zambelle@nwfsc.edu.